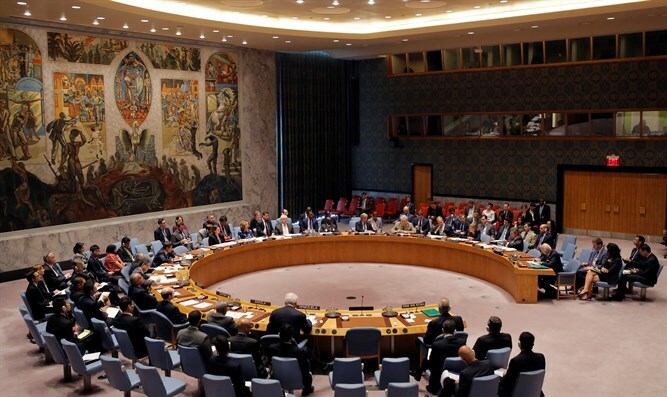 United States, France, Britain and Germany push for action at Security Council following Iran's launch of a satellite. The United States, France, Britain and Germany on Wednesday pushed for action at the UN Security Council following Iran's launch last week of a satellite, AFP reports. U.S. Ambassador Nikki Haley argued in a letter to the Security Council that the Simorgh space launch vehicle system, "if configured as a ballistic missile," would have a range and enough payload capacity to carry a nuclear warhead. "This launch therefore represents a threatening and provocative step by Iran," said the letter from Haley on behalf of the four countries. "Iran's longstanding program to develop ballistic missiles continues to be inconsistent with UN Security Council Resolution 2231 and has a destabilizing effect in the region," said the letter, which was seen by AFP. Resolution 2231 was passed two years ago to endorse the 2015 nuclear deal between Iran, Britain, China, France, Germany, Russia and the United States. Under that resolution, which lifted sanctions in exchange for curbs on Iran's nuclear program, Tehran is "called upon" to refrain from carrying out launches of missiles capable of delivering nuclear weapons. Following Iran's rocket launch on July 27, the United States imposed sanctions on six companies that Washington said were linked to Iran's missile program. Iran has repeatedly said that it is not seeking to develop nuclear weapons and is not in violation of the resolution. "Our friends and allies in the United Kingdom, France, and Germany join us in calling out and condemning Iran's destructive and threatening actions," Haley said about the joint letter, according to AFP. "The world must not allow Iran to act in defiance of the Security Council and its resolutions. The United States will be vigilant in ensuring that Iran is held accountable for such behavior," she added. Iran's satellite launch followed a series of ballistic missile launches which prompted the U.S. to impose sanctions on 25 individuals and companies connected to Iran's ballistic missile program and those providing support to the Revolutionary Guard Corps' Qods Force. Haley has repeatedly called on the council to respond to Iran's missile tests, but Russia has said Iran is not in violation of Resolution 2331. The four countries called on Iran to "immediately cease" all ballistic missile activities and said the international community must also "send a clear message to Iran." They requested that UN Secretary General Antonio Guterres report to the council on Iran's ballistic missile and space launch activities.